Learn what to do in a mental health emergency. 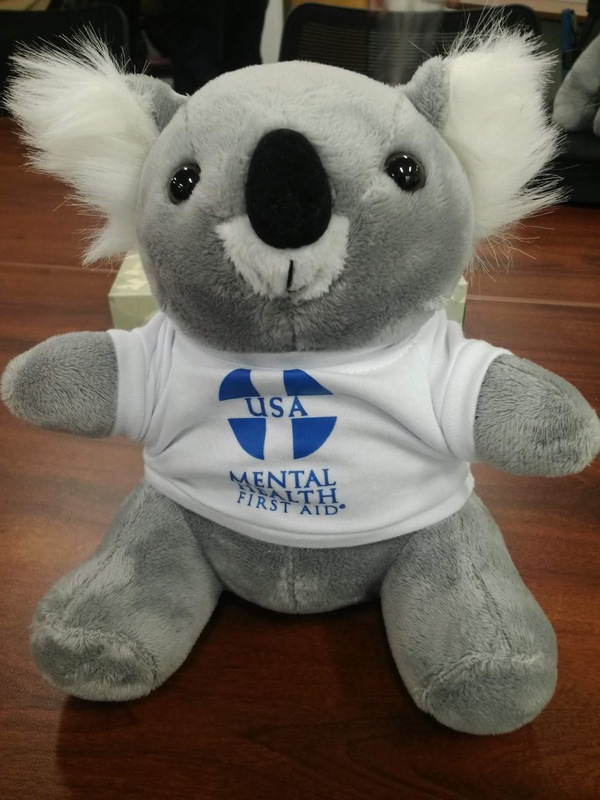 I just finished a training in Adult Mental Health First Aid. I highly recommend it looking for a course near you. We were each given a Koala bear named ALGEE. He's the program's mascot and his name is an acronym for the steps to take when assessing a situation.